Save the date! The annual school picnic is coming! What’s for dinner? This year you can pre-order a picnic dinner from the Fuller Cup (more details on menu and ordering coming next week), purchase pizza at the picnic or plan to bring your own food. As always we will need a number of volunteers to pull all of this off! Consider volunteering for a short shift selling concessions, helping with an activity or donating a cake. Save the date! The annual school picnic is coming: Thursday June 7th from 5 PM – 8 PM. What’s for dinner? This year you can pre-order a picnic dinner from the Fuller Cup (more details on menu and ordering coming this week), purchase pizza at the picnic, or plan to bring your own food. Thompson volunteers – please join us for coffee and breakfast treats this Friday morning to appreciate all you do for Thompson! Stop in to the cafeteria after drop-off! Please save the date for Thompson’s Art Night on Thursday, May 31st from 6:00-7:30pm. 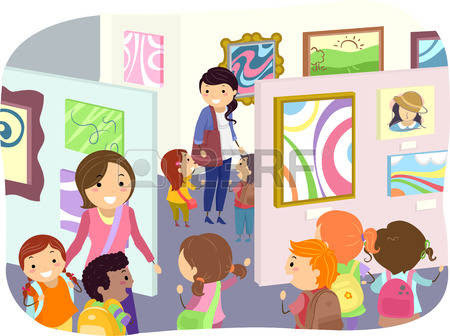 All student’s will have artwork on display and there will be artmaking activities for the entire family. Students have been practicing with art media, learning new techniques, finding inspiration from other artists and reflecting on their artmaking processes since September to prepare for this show. We hope you will join us to spend some time talking with your student about their artwork and to view all of the creations coming from Thompson’s Art Studio. After the meeting John Danizio, CFO of APS agreed, “I was so impressed by the Thompson Green Team!!!!! Would you please let them know that along with Gut Bacteria, Tree Fungi, Worms, and Soil Bacteria, that I would add them to the Recycling Super Hero list.” Congratulations to all the adults that are nurturing these powerful change makers! And Congratulations to Karen Donato and all the staff at Thompson school who through collaboration, innovation and student empowerment are leading the way to integrating sustainability in elementary schools. Only One Thompson Tuesdays Left! Eat or get take-out at Not Your Average Joe’s on any Tuesday in May, mention Thompson when paying the bill, and 15% of your check will go to the PTO Enrichment Fund! You can use your Community Card to save yourself 10% too – SAVE and GIVE at the same time! Excludes alcohol. Arlington location only. Chris Eastburn, the artistic director of the multigenerational Family Folk Chorale, will teach Thompson students and staff Matisyahu’s hopeful and uplifting song, “One Day,” on the mornings of May 29th and June 5th. All parents are invited to attend the June 5th 8:40 AM to 9:30 AM rehearsal and join the Community Sing of “One Day” at the annual PTO picnic Thursday June 7th. Link to “One Day” is here. Please contact Elizabeth Rocco at egrocco@gmail.com if you want to help with the Thompson Community Sing project. We are looking for a individual to take video of the performance of “One Day” at the picnic June 7th. If you can help with one or both events, let us know! Recess, before school, after school, weekends, summertime, meet-ups, play dates and more. We all use this playground, and it needs our help! We are organizing a friends group to advocate for and work to improve the playground at North Union park adjacent to Thompson School. If you would like to get involved, share your ideas or learn more, please email Phil Tedesco at philip.tedesco@gmail.com. Come celebrate with old friends and meet new friends! Get up to speed with the AHS Building Project and let the Building Committee know what you think. The Building Committee will be submitting the Preferred Schematic Design Option for the new/rebuilt high school in July and is seeking community input. Can’t attend? A forum recap and feedback form will be available by June 7th on the www.ahsbuilding.org web site. Thompson Green Team Integration Ensures a Win for National and State Recognition for Green Ribbon Schools Award! Rachel Oliveri, APS Sustainability Coordinator, and the Thompson Green Team will give a presentation “Becoming a Green Ribbon School” at the upcoming School Committee meeting this Thursday. Contact Elizabeth Rocco @ egrocco@gmail.com if your student wants to participate. APS Green Team’s End of Year Dinner and Celebration! It is such an honor for the Arlington Public Schools to receive both the Massachusetts and U.S. Green Ribbon School Award. This is a well-deserved recognition of all the important work happening across the district to promote environmental education, wellness, and positive change. Thompson Elementary School was featured in several places in the district’s winning application, with energy efficiency and water conservation in the school rebuild, no idling signage in front of the school, and mindfulness programming. The winning application even concluded with the Thompson Green Team song lyrics: “We are awesome, we are powerful, we can change the world!” Three Thompson students, parent and Green Team lead Elizabeth Rocco, Rachel Oliveri, the school district’s sustainability coordinator, along with district officials, received the State award. Only Two Thompson Tuesdays Left! All parents are invited to attend the June 5th 8:40 am rehearsal and join the Community Sing of “One Day” at the annual PTO picnic Thursday June 7th. Link to “One Day” is here. We are looking for a individual to take video of one of the “One Day” rehearsals on Tuesday May 29th. Times are 8:30-9:30 or 9:35-10:20. We also need video of the performance on at the picnic June 7th. If you can help with one or both events, let us know! Snacks Needed For Thompson Kids! When you are doing your weekly grocery shopping, consider grabbing one extra box of pretzels or rice chex or a box of apple squeezers or something from the list below. Drop the snacks off in the labeled Arlington EATS tote in the front office or please contact Sarah Gupta at sarah@arlington-eats.org if you would like to arrange an alternate drop off or even have someone pick up your snacks. THANK YOU for you continued support and donations! They are all greatly appreciated! The Read to Ride Program, sponsored by Dependable Cleaners, is kicking off this week! We welcome students at Thompson School to enter to win a bicycle and other prizes by reading each week during summer vacation. It’s a great way to encourage children to read. To date, more than 70,000 books have been read! Click here for an entry form with rules. Interested in Playing Ice Hockey in Arlington? Registration is now open for the Arlington Hockey Club’s (AHC) 2018-2019 Mite, Squirt, PeeWee, and Bantam Inter City Travel Programs. Teams in this program play local teams in the greater Boston area, providing a fun, competitive hockey experience for children born between 2011 (Mites, 2010 – 2011) and 2004 (Bantams, 2004 – 2005). Boys tryouts for all teams will occur in September. Girls tryouts have already occurred, however, if you are interested in playing please contact us through the website at arlingtonice.com. Registration for AHC’s no-checking learn-to-skate/ instructional, developmental, and in-house hockey programs will open in September and play begins in October. AHC practices USA Hockey’s American Development Model in its program. Please see our web-site at www.arlingtonice.com for more information.